Making Room: Our Life in Sicily: drop everything and bake! 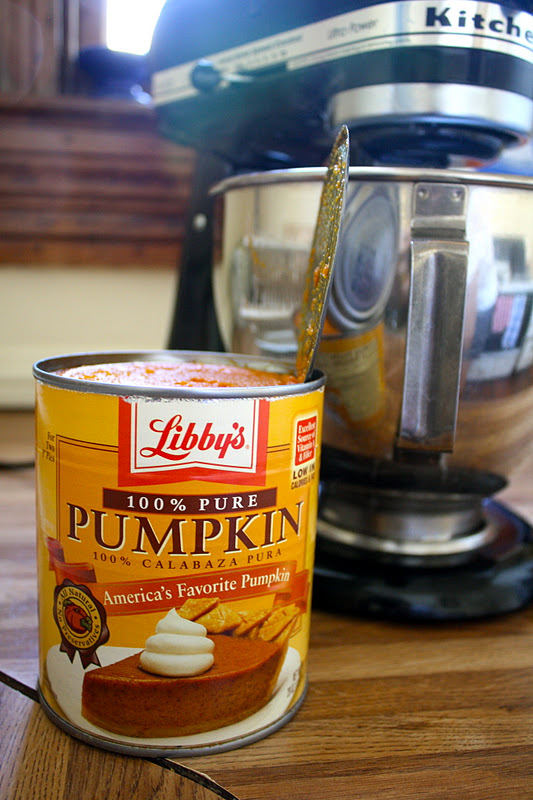 I am ready to open my fourth can of Libby's pumpkin this fall, and I haven't even baked a pumpkin pie yet. Mostly this is because I have made... oh, let me count... five loaves of pumpkin bread. I think it's five. Maybe it's six. Anyway, I wanted to share the recipe with you, as well as a few photos to inspire you. I found the recipe on a sweet little blog called Tulips & Flightsuits, which is authored by a fellow UVA grad. Ready to start baking? First make sure your baby is content playing on the kitchen floor. Check! Then assemble your ingredients. Admire your KitchenAid mixer, which might be the property of the house you're renting (my case) or might actually be yours (your case?). Enjoy it's power, beauty, and capabilities as you progress. Whoops, baby isn't happy on the floor anymore. Try to finish baking while resting her on one hip. Your picture-taking capabilities will probably slack off at this point. Towards the end of your mixing, add my secret ingredient: chocolate chips. This makes the finished product so much better, in my opinion! It doesn't make it so much better in my hubby's opinion, though, so I make one loaf with and one loaf without chocolate chips, and the whole family's happy. An hour later, viola! Delicious chocolate chip pumpkin bread. Make your second loaf without the chocolate chips, slice, and arrange on a plate. Take along to a women's Bible study. Bring an empty plate home, guaranteed. Heat oven to 350° F. Grease a 9-by-5-inch loaf pan. In a large bowl, combine the pumpkin pie filling, oil, sugar, syrup, and vanilla. In a separate bowl, combine the flour, baking powder, baking soda, salt, cinnamon, nutmeg, and ginger. Slowly stir the flour mixture into the pumpkin mixture. Add chocolate chips if so desired. Pour into the prepared pan. Bake for 60 to 65 minutes. Transfer pan to a wire rack for 10 minutes. Using a knife, loosen the bread from the pan. Serve warm. Now, that is some beautiful bread and some unusually creative photography. I'm hungry! yum! so excited to try this! :) love your blog!! Yum! This looks so delicious! Saving your recipe now!